Study finally shows a causal link between body size and success. Short men and overweight women have it worst. A new study offers the “strongest evidence to date” that overweight people and short people face social and economic barriers to success because of their size. Using genetic data from more than 119,000 British people between the ages of 37 and 73, researchers from the U.S. and the U.K. found that higher body mass index is associated with lower income and greater social deprivation, which takes into account unemployment, car and home ownership, and home overcrowding. Shorter height is associated with a lower income, level of education, and job class. The study, published in the BMJ on Wednesday, reveals that these effects are particularly punitive for shorter men and heavier women. Several studies have previously linked tallness and thinness to higher socio-economic status in developed countries, but the direction of the association—whether being tall and thin makes people wealthy, or whether wealthy people grow tall and maintain a slim figure because they can afford better food and health care, for instance—was a mystery. This new study mined biological information from the U.K. Biobank for genetic variants that affect height and BMI; by taking into account the height and BMI predicted by a person’s genotype, the researchers were able to rule out the likelihood that success precipitated body size. “Using genetic information in this way avoids some of the problems that afflict observational studies, making the results less prone to bias and unmeasured confounding factors, and therefore more likely to be reliable,” the authors wrote. Socio-economic status, for the purposes of this study, was measured in five pillars: the age at which an individual completed her full-time education, the highest degree she obtained, her job status, her annual household income, and her index of social deprivation. 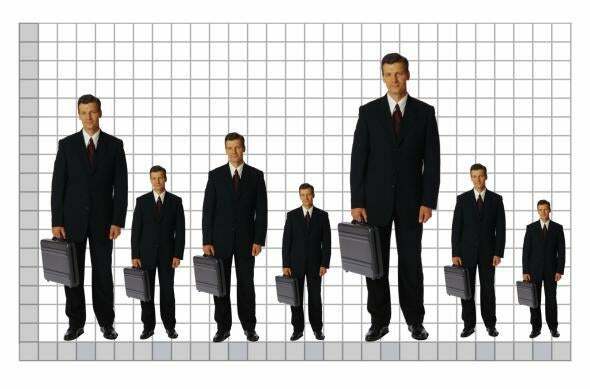 As estimated by genetics, tallness had a direct effect on higher socio-economic status in four of the five categories. The most salient one was income level; here, the link for men was two to three times stronger than for women. Though researchers determined that higher BMI causes lower socio-economic status for women, they did not establish causation for the link between high BMI and lower socio-economic success for men. The authors offer little speculation on the ways height might affect life outcomes, but they throw out “complex interactions between self-esteem, stigma, positive discrimination, and increased intelligence” as a start. Previous studies have indicated that height as a teenager matters, too; a short teenager who grows into a tall man retains some of the negative effects of his adolescent stature. This suggests that, despite the widely disproportionate number of very tall men in political and business leadership, the disadvantages of shortness begin well before discriminatory hiring practices kicks in. Meanwhile, the connection between high BMI and low socio-economic status in women was strongest in the areas of income and social deprivation, which points to workplace discrimination as a leading cause.